House mortgage industry is the most valuable industry in the world since the need of the house is ever increased. The issue here is the price that is also skyrocketing due to the imbalance of supply and demand in the global market. This is due to the several factors, such as the availability of the land, the global economy and politics situation, the profile of certain areas and so forth. As the result, billions people are having a very hard time acquiring a house, where certain individual groups are having multiple houses with a very high value. This is definitely creating an economic and social disparity as more and more people need the house, where fewer people are able to acquire the house with their own money alone. There is also a practical solution to this issue, namely the mortgage loan that could be afforded in the bank or the third party such as the person or a loan providing group that is scattered across the globe. This indeed provides a very practical solution to those who do not own a very large amount of money to purchase the house since the house usually imposes the down payment system that is very hard to be accomplished without the proper financial preparations. The mortgage loan can be achieved in a various way, but the problem will soon follow, as the interest of such loans is steadily increasing and the people financial economy are more or less unstable do the global economic change that could change in any minute. This leading to a very complicated and centralized housing market and mortgaging system that is now run by the government or the banking institution. This could prove to be disastrous since the centralized market, should it fail, will affect thousands of other aspects and thus endangering the global economy. This already happens in 2008, where the mortgage industry is falling down due to the inability of the people to pay for their loan, and thus destroying most of a high level American and European economy back then. This is a very serious issue that needs to be tackled since the demands of the house will always increase, but the system that is built upon it needed to be decentralized so it is safer, faster and more reliable in the term of the global market. Prices in the most essential in the house as it become the major consideration of every person who is about to purchase a house. The price of a house is usually affected by several factors such as the land value, the availability of the public facility, the type or the size of the house and lands, and other myriad factors that are too much to be mentioned. But even the smallest and most undesired land still possesses a very high amount of money and that is very hard to come by. The platform provides the crowdfunding platform to the person who needs a fast and saves money to purchase a house, and thus the crowdfund will provide the money on certain conditions. This will disrupt the common business style where the banks and the third parties intermediaries are in play. Even if the person is able to purchase the house via a loan that is provided with the banks, the access to such a loan is very difficult and complex. More and more people are less able to have a loan to pay for the house, and thus making the people less able to have the house. This is due to the fact that the banking system is interconnected and centralized making it very fragile should the people are failing to pay for the loans of their house. Countless evidence has already emerged to show how fragile the banking institution is, and thus making it a less reliable source of money to have. For your house mortgage. As the beginner buyer, they usually don’t understand whether a very specific type of house is worth their money and effort so that they end up purchasing a house that is too pricey and disrupting their financial capabilities. This is very problematic indeed as the housing industries are not providing the tips or the review of their economic situations, as their concerns are just to conclude a sell. The viva platform provides the very practical solution which is the counseling or the advice of the buyer of a house before buying a certain type of the house. They also review the economic impact of a family so that the family can own a house without any clear risk at their mind. Those issues above are the most impending issues that are haunting the global housing market. This is counterproductive since the housing industries need to sell their houses as fast as possible where the people are less able to purchase the house day by day. This cycle needs to be disrupted, and that is just what this platform do, to disrupt the status quo and giving ease for the buyer of the house to gain their money so that they can have a house. We have already seen the intro of the platform, but we will then as ourselves, how this solution is really working. This is the most natural responses to any kind of disruptive business type that happens globally. First of all, the main difference between the platform of the banking system are the terms of coverage. The banking system is a web of interconnected monetary agencies that is affecting one after another, and thus making it very fragile since the disruption in one side could have a significant impact on the other side, whether it is good or bad influences. Here are the procedures of the application at the first glance. The most critical thing about purchasing a house is the loan itself, without it, so many people will just lose the ability to have a house in the oncoming years. The buyer will start proposing for a loan that is followed by several documents that are needed by the system for the verification needs. The document will be the debt, the income, or any related financial situation of a person that could be useful for the verification process. Verification is the most crucial steps, as it will determine whether or not the person will have their money for the mortgage. The verification will include the professional assessment done by the team of the platform. The buyer will also directly redirected to the home seller, to provide any risk that could potentially reduce the value of the house. the home seller is also obliged to inform the buyer concerning the minor or major issues of the house such as reparations, damage, and so forth. The approval of the platform is divided into two kinds, the conditional approval, and the final approval. The conditional approval is the first approval where the condition of the document have been met and the team is already approving the document to be further analyzed by the team in order to determine the fund that will be provided for the applicant. The final approval is where all kind of document is already assessed and all the condition has been met and thus making the applicant eligible to receive the fund from the platform. The appraisal is the process of appraising the true value of the house by the professional team of the platform. The appraisal process also includes the advice from the team concerning the house and so forth. After all sort of administration and assessment has been dealt with, the final process of the procedure is grading. Grading simply is the mechanism to grade someone financial capability that has been provided by the earlier documents. Grading will determine about the financial funds that will be provided by the platform by listing the applicants into the several grades that are available. within the system. There are ten grades from 1 to 10 and the applicants will enter one of the grades, and thus define any potential risk or changes in the term of the applicant capacity to pay the loan to the platform. After the grading process has occurred, the platform is now gathering the fund in order to give the applicants the money they need. After the money has been collected, the platform will receive a portion of the money where they can use it for paying the Down Payment that is required to purchase a house. the applicant then is responsible to pay the amount of money in a certain period of time, such 20 or 30 years according to their own grade. The money that has been paid by the applicants are becoming the crowdfund that will be used to fund more applicants, and thus the cycle continues. 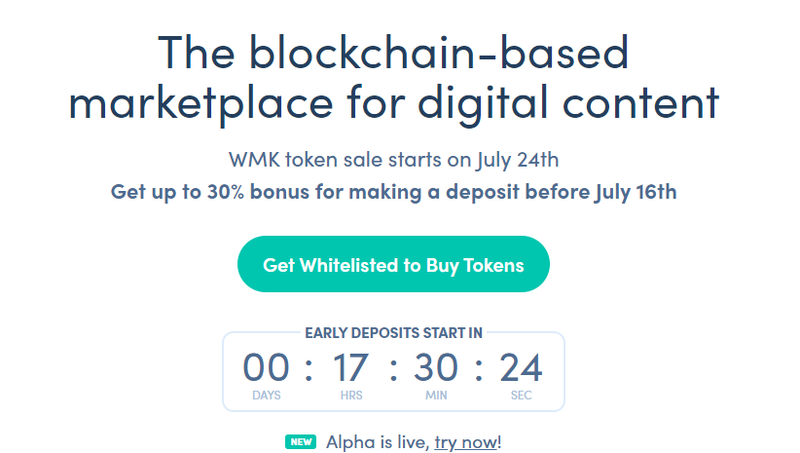 The pre-sale is currently ongoing and will end in July 1st. The pre-sales or the first stage of sales will have the bonuses, just like any other platforms. 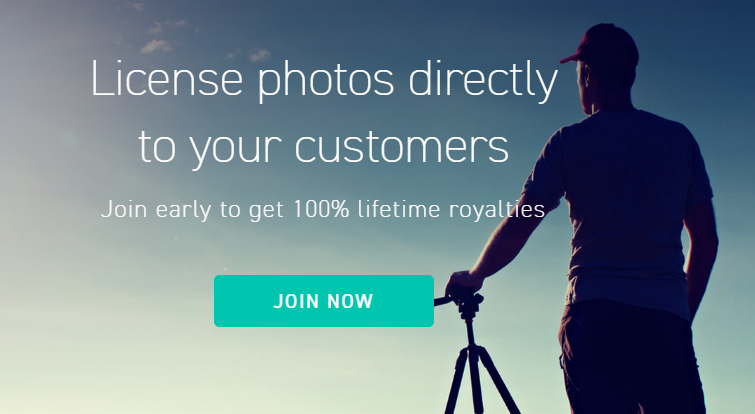 The sales will be in 30 days, with ten days bonus bonuses changes interval. During the first ten days, the price will be 50 thousand tokens per one ethereum, meaning that the token will have around 40% bonus per sale. The second ten days will worth 35% bonus, meaning that the viva token will worth 48.309 tokens per one ethereum, and the last ten days will have 30% bonus, and the token is 46.511 worth per ethereum. Main sales will occurs just after the pre-sales, the main sales will start at July 12th. And as for the main sales, there will be 60 days period or roughly two months of the main sales process. The main sales are also providing the bonus, though it is not larger than the early stage bonus. 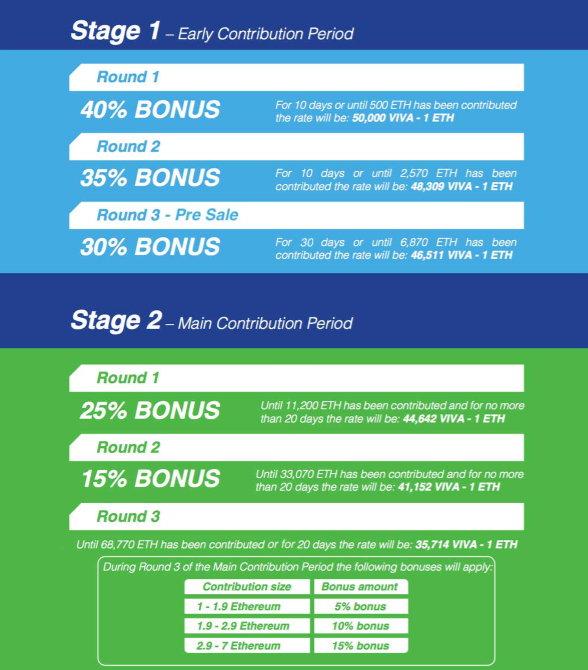 And unlike the first stage where the bonus is counted per 10 days, the bonus in the main sale is per quantity of the ethereal being sold. The first round of main sales will have 25% of the bonus after the 11.200 ETH has been contributed in the 20 days of the main sales. the second round will have 15% of the bonus, after the ETH that is sold reach about 33.070 ETH in the next 20 days. To sum it up, here are the basic information concerning the sales. The cap of the first stage of the sales will be around 6.870 ETH. The first stage of the sales has occurred as we speak and will end on the 1st of July 2018. The main sales will be conducted just after the first stage of sales and will last 60 days. There are 4 billions of token that are being distributed to several parties, where the allocation has been covered above. The range of value is ranging from 50 thousand to the lowest around 35 thousand per one ethereum. For further information, you can reach these following sites. In this era of information and technology, many new businesses emerge and bring a lot of changes to the world. There are some beneficial impact on the world such the bureaucracy that is becoming more efficient, the public transportation that has zero delay system, the more and more embracing public health care system and so on. Those are the advancement which is highly influenced by the rise of the infrastructure that supports and enhance the living condition for all the human being on earth. And as for that, we can thank this era for such an endless opportunity and limitless advancement. But unfortunately, this globalization and modernization do bring a shadow of destruction too. Let us specify the electric consumption. By recent decades, the electric usages have been skyrocketed due to more and more technology that is being invented almost on a daily basis. Yes, we do have so many power plants, to the point producing more electricity is no longer an issue. But sadly the main energy sources for the power plants are being powered by the fossil fuels which are non-renewable energy sources. The fossil fuels someday can be depleted and therefore humans need to invent new methods to use their technology wisely. Even the rise of the renewable source of energy is promising, the use of such energy is still limited and pale in comparison to the fossil fuels energy, and thus making it a very long way to go to even balance the usage of the fossil fuels consumption. The primary source of the energy is basically business, and therefore business needs to invent a new way to reduce their electricity usage. But as the time goes, more and more business are being founded, especially the most recent type of business, such the mining operations of cryptocurrency. The mining operations to mine the bitcoin is obviously required a great deal of energy. Because the mining operations will require the graphic which runs constantly nonstop for days even months. This operation will consume a huge heat and therefore the miner must use a lot of air conditioner to cool their mining process and therefore it will consume the electricity a lot. This is a huge downside for both the miner and the government. the miner will suffer a huge electrical bill and therefore it will be not very prospective for becoming the crypto miner. The government of a particular country will also suffer since they need to import more oil and raise the government expenditure. Looking the grim situation, it seems that this business is a huge burden for the government and the miner. But the solution is not to completely close the business of mining, but to make the efficient mining operations for all the miners. The solution must be comprehensive to embrace the miner, to increase the efficiency and effectivity, and also for the government, to reduce the usage of actual electricity usage. Fortunately, the solution has already emerged, which is the new platform called the swiss alps mining. As its name suggest, this platform located in the Swiss or the Alps slope, making it the most ideal place for mining operations. This platform is also supported by the high and cutting-edge technology, making it a safe and secure place for your mining operations. there are a lot of features that can enhance the mining operations for all the miners and we will explain thoroughly below. For any further information, you access the websites below. There are a lot of reasons why we should use the services of swiss alps mining, here are several examples of features that exist within the ecosystem of swiss alps. Cube is actually a box that will allow the graphics computers to constantly run their programs and then mine the bitcoin. The cube is a highly sophisticated place where the cooling system will remove the excessive heat generated by the mining operations. usually mining operations will generate an enormous amount of heat and therefore could be dangerous if they are left unchecked. The cube will throw off those heat and make the temperature properly adjusted for the graphics computer to run at their maximum performance. As we have already stated above, the fossil fuels are decreasing day by day and therefore need to be minimized it usage. Fortunately the Switzerland is home to a strong current rivers housing thousands of water power plant that can light up the cities. This make the platform is energy wise as they use almost infinite amount of energy resources, which is the water stream. And moreover, due to the abundance of water resources in the area, the cost of electricity is reduced significantly and making it very low cost in obtaining it. The cube will be run completely powered by the water stream and therefore it is cheap and convenient. The Swiss Alps mining operation center will be situated in the slope of the Alps mountain. The altitude is low enough so that it’s stable and protected from any environmental hazard such blizzard, but high enough to support moderate and chilly temperature. This temperature is naturally ideal for the mining operations as they need lesser cooler and therefore lesser electricity. The electricity also comes from the renewable energy which is water and therefore cheap and environmental friendly. In the slope of the Alps, there are countless of cabins that are used to house the farmer when they are farming in the slope of the mountain. But due to the zoning policy and reduced significance of the agriculture, therefore those cabins are now abandoned and desolated, and in the brink of destruction. This is worrying since those cabins are the cultural heritage of Switzerland and thus need to be preserved. The platform will use those cabins to become the command center for the mining operations to oversee each facility of the cabin and their integrity. The platform will not deface the appearance of the cabins. This way, the cabins will be preserved and maintained to avoid decaying and destruction. Usually, the miner will rely on the power of their graphics power card to generate more coin. But by employing the service of this platform, the coin generation can be enhanced so that the miner can earn more coin. This smart mining system or the samaix are predicting the market and evaluating the mining methods so that the miner can increase their efficiency. the mining operations now can be more efficient as the miner can receive up to 20 coins per year. That is the most prospective and brilliant way to mine the coin and to generate more coins. The encryption that is deployed by the system is one of the best. The blockchain system will secure any kind of transaction and flow of information within the system. There are several additional support system that is being employed such the smart contracts which is used to track the transaction and the token generation by the system. The encryption is also used to secure the mining operations so that the miner can securely generate their coins, and they can store their coin safer within the wallet. One of the most important thing for the business is the prospect. The prospect for this platform is nearly limitless as there is no any contender or competitor that is now present. In the near future, the need for bitcoin will rise and eventually they need more and more safe and suitable place for mining. This platform is the first and the one and only platform that provides the safe and proper place to mine the bitcoin, which is in the slope of the Alps. The cube system, and also the temperature is very suitable and comfortable for any mining operations. For any further information you can visit one of the links below. As with any other cryptocurrencies platform, the platform also has the roadmap that represents the growth of this business. The most basic things to start the platform is to start the platform and to deploy the start cube. This progress happens somewhere around last February, and for now, there are several cubes that are already available for use. The location also has been surveyed and decided in the southern slopes of the Alps, since that spot is suitable and housing many cabins for the command center. The river stream also strong enough to support the turbine to generate power and therefore making it the best location for further operation. The sale of the token will be started at the beginning of May. The sale structure is divided into two kinds, the private sale, or usually referred to the pre-sale and the public sale. The ICO sales will be further explained below in the sales section. After the sales ended, the platform will deploy more cubes and erect more command center, as well as purchasing and constructing more power plant to support the operation. Those agendas are expected in late 2018. 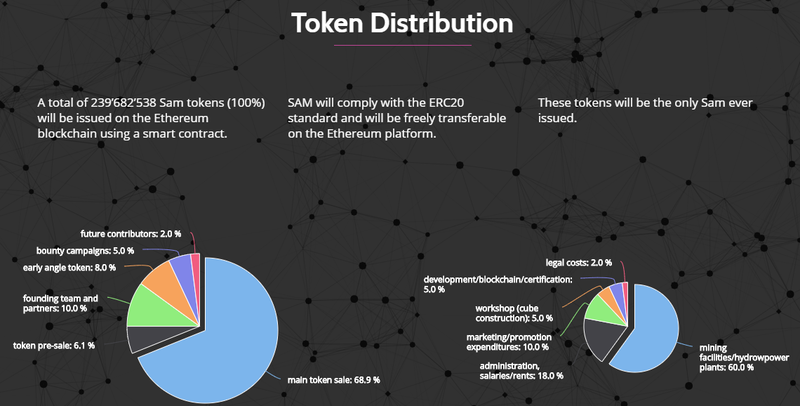 As for the sale, this token will have for roughly 239 million SAM tokens and will be integrated into the ethereum blockchain. This means that the token will be available for any exchange that happens within the ecosystem of ethereum such the bitcoin, their coin and so on. Those coins will be distributed proportionally for several factors, for the first sectors are the sales. 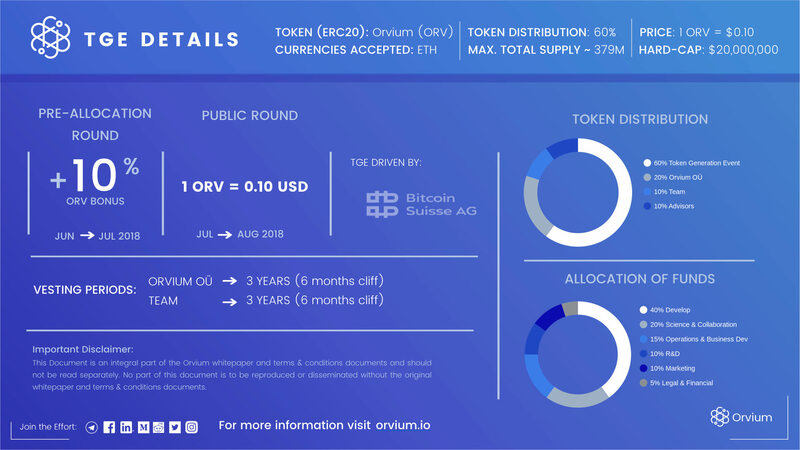 The sales will consume 68% of the total sum of the token. 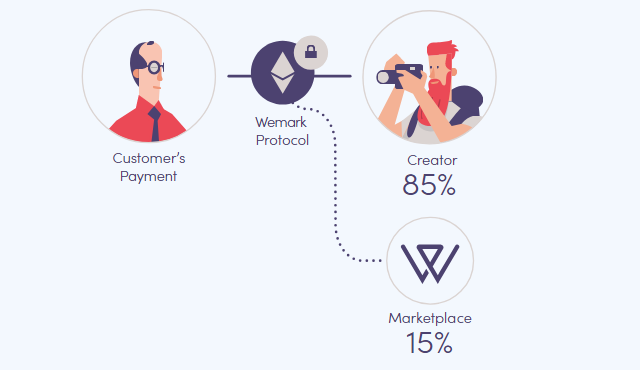 The pre-sale 6%, the 10% are for the founding team, the 8% for the advisors, the 5% for the bounty campaign that later will be announced in the system, and the rest of them will be spent for future contributors. The sales, as we have stated before are divided into two section, which is the private sales which already occurred from the beginning of May 2018, and the public sales that will be occurred for June 2018. Unfortunately, the system has not yet announced the public sales date yet, and therefore we have to wait for any further information. The value of this token is varying from the type of sales that you follow. The pre-sales will have 0.30$ per token, and the second tier will have 0.40$ per token. The public sales are divided into four tiers, as the starting value for the token is 0.50$ and ends up 0.80$ In the last tiers. This is a unique and new system which is unlike any other ICO sales that give bonus instead. This system will make the first tier private sales is the one who can gain more profit since they purchase the token for 0.30$ and they can sell their token for almost a dollar. This makes the system is friendly for the investor if you are the one who prefers investment over practical usage. The token will be used for all forms of transaction situated within the ecosystem of the platform. There is a lot of transaction that needs to be done such renting the cubes, purchasing the electricity and any other. those transactions need to be conducted via the token or sam token, therefore if you have any other cryptocurrencies, therefore you need to convert it to the same coin, or you can purchase the same coin in both sales. Most of the sales result will be allocated to the expansion of business such constructing more cubes, constructing more power plants, enhancing the command center, and so forth. 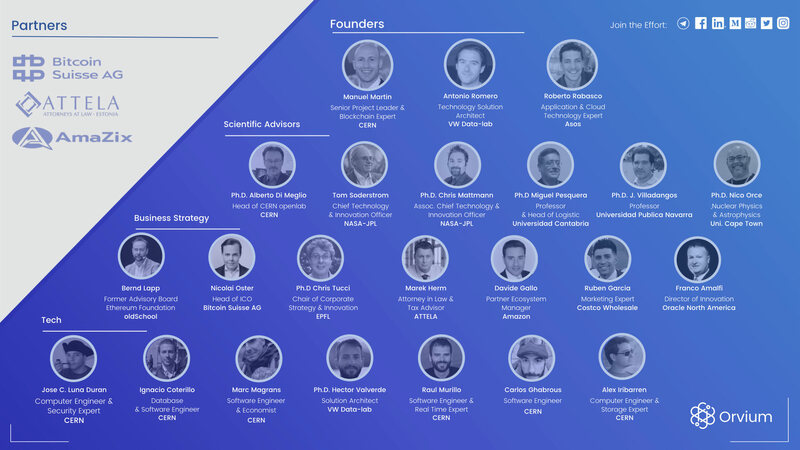 As for the risk analysis, the team already have researched several risk factors such climate, the cube integrity, the system, and the security. Fortunately, the risk is low enough and can be coped with usual security check treatment. Moreover, the security system also has a very high tech and cutting edge tech and therefore it is safe and secured and all the miners can freely operate their mining operations within the system of alps swiss mining. For any further information, you can visit several links below.